Onko sinulla kysymys kohteelle Royal Garden Hotel? Sekä liike- että lomamatkailijoille suunniteltu Royal Garden Hotel sijaitsee hyvällä paikalla alueella Hyde Park, joka on yksi kaupungin suosituimmista. Täältä käsin vieraat pääsevät helposti näkemään mitä vilkkaan kaupungin eri puolilla on tarjottavana. Tämä moderni hotelli sijaitsee lähellä suosittuja nähtävyyksiä, kuten Azerbaidžanin suurlähetystö, Valko-Venäjän suurlähetystö, Israelin suurlähetystö. Royal Garden Hotel tarjoaa parhaat palvelut ja mukavuudet, jotta vieraat tuntevat olonsa mukavaksi. Hotelli tarjoaa 24h huonepalvelu, ilmainen WiFi joka huoneessa, 24h vartiointi, 24h vastaanotto, liikuntaesteisten palvelut asiakkaidemme mukavuutta ajatellen. Lisäksi kaikista huoneista löytyy valikoima mukavuuksia. Monet huoneet tarjoavat jopa vaativimmallekin asiakkaalle kelpaavat mukavuudet, kuten taulu-tv, langaton internet, savuttomia huoneita, ilmastointi, lämmitys. Hotellin vapaa-ajan aktiviteettien valikoima takaa paljon tekemistä loman aikana. Royal Garden Hotel yhdistää ammattitaitoisen palvelun laajaan valikoimaan mukavuuksia. Yli 9 huoneen varauksiin saatetaan soveltaa eri käyttöehtoja ja lisämaksuja. Vieraiden tulee esittää voimassaoleva luottokortti check-inin yhteydessä majoituksen aikana tapahtuvien vahinkojen varalta. Ennakkovarausta ei tehdä. Hotellista on hyvät liikenneyhteydet, bussipysäkki aivan vieressä ja metrokin lähellä. Huone ok. Huonepalvelu toimi nyvin ja sitä kautta tilattu ruoka oli maukasta. Vastaanoton virkailija hoiti helposti teatteriliput samaksi illaksi. Hotellin hintataso oli korkeahko. What a great location! Literally right next door to Kensington Palace, and on the Kensington High Street for all the great shops within 5-10 min walk! Breakfast was great (impressed that they serve Asian food like congee and bak kut teh! but it is owned by a Malaysian owner, I think). We arrived very early (about 9am) and they let us check in, which is not common when you normally arrive at hotels! The room was clean and spacious. We'll definitely stay here again! The hotel staff are very friendly! Location is decent considering you have a bus stop infront of the hotel and the tube station Kensington High St a stone away. Also some fabulous good eats is located near the vicinity - Muffin Man! 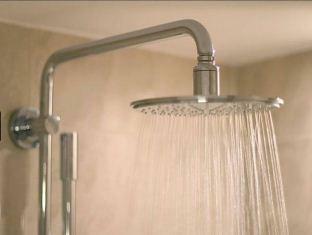 My husband stayed at the hotel and found it very comfortable. The location is excellent and the service was fantastic. The room was a little small but as he was traveling alone, it did not really matter much. This is a classy hotel in the Kensington neighbourhood, conveniently located near underground and many shops. Rooms are cosy and comfortable, although the ceilings are rather low giving a feel of constrained space. 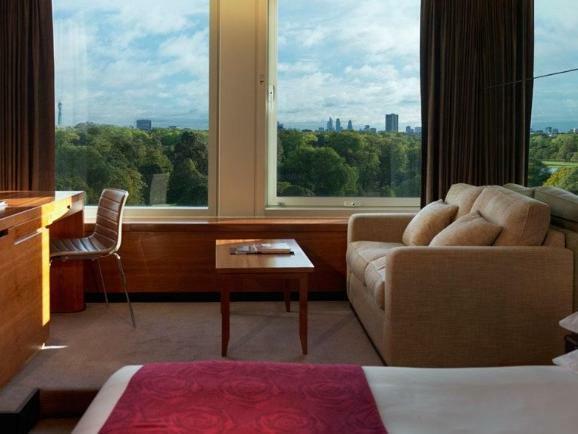 Garden view rooms have wonderful views of Kensington Gardens. The English breakfast is superb. great location and overall a nice hotel, however for the price and for a five star hotels a lot of things were quite basic. breakfast selection is not great and you will be smelling a lot like food afterwards. Tube is just 5 min walk away. You can reach many parts of London by bus too. The room is spacious and clean. Housekeeping service is good. The staff are nice and helpful. They helped me to keep the luggage even though I have checked out for Paris. Kensington park is just next to the hotel. You can enjoy a lovely morning walk or jog. We booked the executive suite but was upgraded to the Royal Suite!!! The view was spectacular, overlooking Hyde Park with Big Ben and the Eye on the horizon; the night view with the lights was amazing. 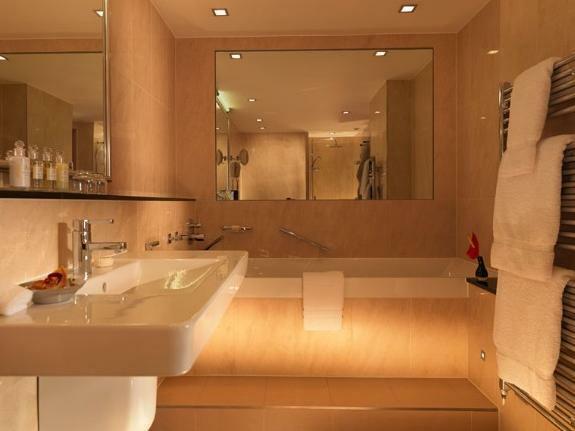 The room itself was stunning with a large separate sitting area and the bedroom was spacious with a wonderful bathroom. The floor was heated!!! We truly enjoyed the stay after long hectic days in the crowded tourist attractions!! This 5 star hotel is not new but good. The room we stayed is clean and spacious. Location is convenient with the bus stop right in front of the hotel and train station nearby. We liked the Chinese restaurant very much and had dinner 3 times there. Highly recommended!!! A truly first class service from check-in to check-out. 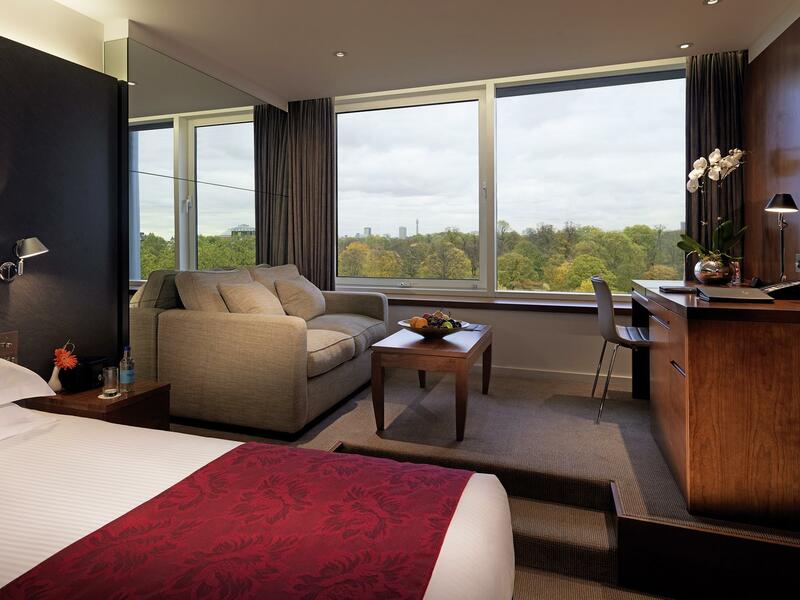 The room had a commanding view over Kensington High Street which looked spectacular at night. Staff were friendly, helpful and knowledgeable and courteous at all times - nothing was too much trouble. Everything was good except that I didnot notice that the internet was Not icluded in the my reservation and the hotel prices was very expansive which should even be free since these services is provided in four star hotels free for all of there guests . I was offered early check in plus late check out which was greatly appreciated after ans before my long haul flights. Great views from my room overlooking Kensington Palace. The real treasure is the view from the bar/restaurant on the 10th floor. Don't miss it. Stayed here for 3 nights and then decided to upgrade our room for another 3 nights to a larger room in a better location in the hotel The hotel is located adjacent to Kensington Palace on Kensington High Street. and is close to the Underground for getting around efficiently. It had a great Asian restaurant in the hotel where we enjoyed an excellent meal. Special mention to the concierge manager and his staff who were terrific in arranging restaurants and theatre tickets. Got us the best seats! I stayed for three nights and would return or recommend to a friend. 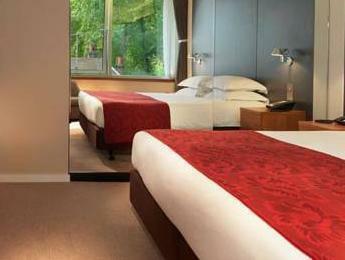 The hotel is at the centre of Kensington, with the beautiful park on the doorstep along with plenty of great shopping. The nearest Tube station is a five minute walk and there are plenty of bars and restaurants nearby. 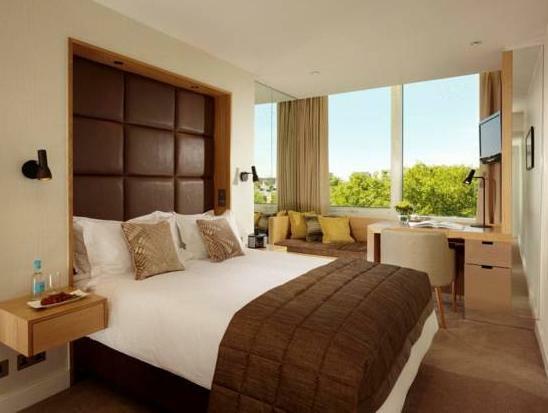 The location is great and we had a lovely view of Kensington Palace from our room. Wished we could have made more use of our proximity to the park but the weather was a bit too cold for us. The room was comfortable but the bed was a trifle too soft (though to be fair, we didn't complain about it) for our liking. My only real complaint is that the sound proofing around the connecting doors between rooms needs to improve as we could hear some of the louder conversations going on in the room next door! The food in the fine dining western restaurant downstairs was good; we would have liked to try the Chinese restaurant but it was perpetually booked! 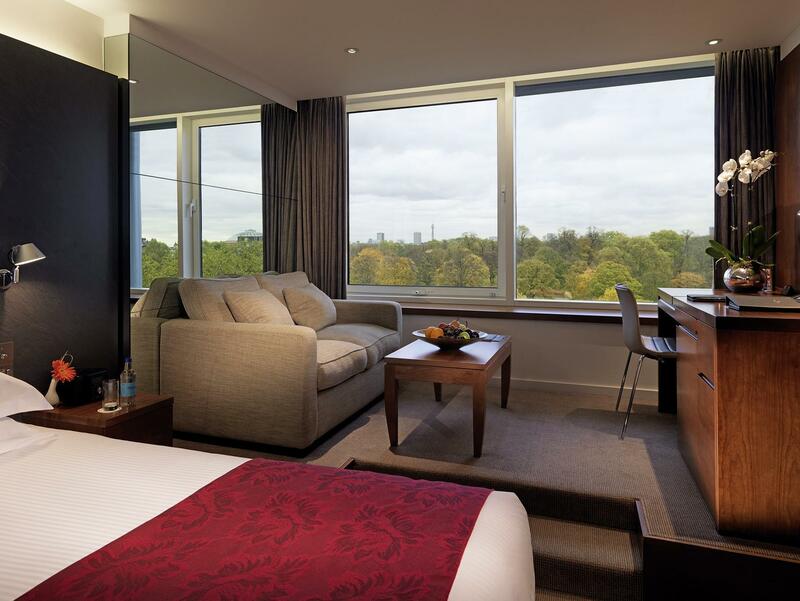 It is a great hotel on the park, located in one of the greatest neighbourhoods in London, with embassies and diplomatic missions around. My room had a garden view. It was very comfortable but rather small, which didn't bother me at all since I only stayed there for 2 nights. Great value for the price. High Street Kensington Tube Station on 0.34 km.